Click Here to Download SetDefaultActionInMVC Example. You can set default action name for controller in MVC. By providing default action name you did not type action name in controller. It will automatically call default action. 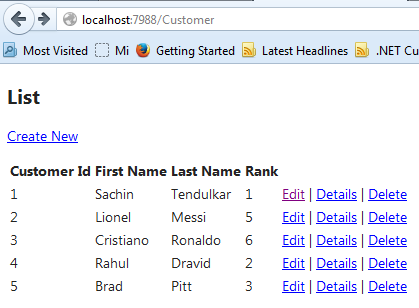 In this example if you want customer list you need to call this URL 'Customer/List'. But if you want to set "List" action as Default action for "Customer" controller you can do this by setting "List" as default action for that controller using "MapRoute" method.